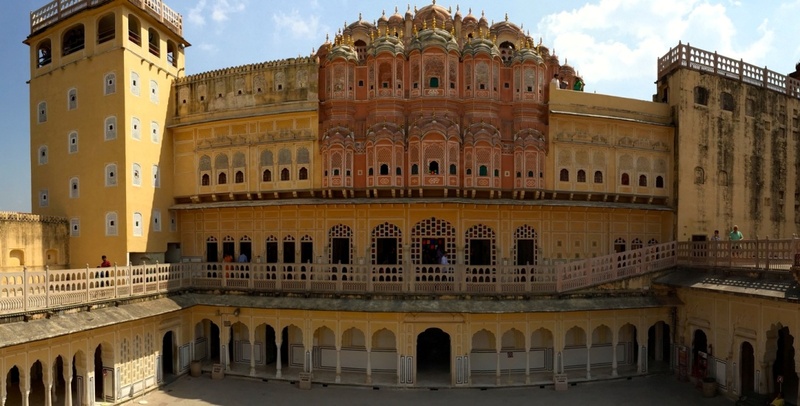 Hawa Mahal, also known as “Palace of Breeze”, was built in 1799 as an extension to the Royal City Palace of Jaipur. It allows the royal ladies who at the time strictly observed “pardah”, to be able to watch any processions and activities on the street without being seen by the public. Opening Time: 9:00am. – 4:30p.m. Tourist Pass/Composite Ticket covers 7 Jaipur monuments are available too. Check it out. Do you know that the entrance is through the City Palace where doors open into a open spacious courtyard with two-storeyed buildings on three sides. Hawa Mahal is the tallest building in the world without a foundation. The five-storey building managed to maintain upright because of it is curved. Just another masterpiece of Rajput and Mughal architecture.